The following is a guest post from Rohan Shah. The Seattle Seahawks were a major disappointment their first 6 games of 2015. With a 2-4 record, they were written out of playoff contention due to a crowded NFC playoff picture. However, since then, they have gone on a tear, winning 7 of their last 8 games. They now find themselves nearly locked into an NFC Wild Card spot and in great position to make a deep run into the playoffs. Several factors indicate that Seattle is a dangerous, underrated team. Many have questioned Wilson’s true effectiveness without a great running back and great defense. However, over the past few weeks, Wilson has shown his greatness. He has been without running back Marshawn Lynch and his dynamic tight end Jimmy Graham, but has nonetheless still produced. Wilson has been a top 5 QB each of the last 5 weeks based on ESPN’s Total QBR metric, which accounts for both running and passing. According to The Power Rank, Seattle ranks 4th in pass offense by yards per attempt adjusted for schedule with a fairly mediocre receiving crew. Despite the rough start, Seattle is in a prime position to make a deep run in the playoffs. This is based on several factors: the current playoff picture, and the tough opposition that Seattle has faced this year. Barring a collapse of epic proportions, Seattle will be locked into the NFC’s 5th seed in the playoffs. This gives them a game against the 4th seed in the NFC, which will be the “winner” of the putrid NFC East. The competition that Seattle has faced this year will also be a blessing in disguise in the playoffs. Playing in one of the toughest divisions in football (NFC West) and drawing a division with a plethora of good QB (NFC North), Seattle will be in good shape to take anything thrown at its way in the playoffs. The last factor that really makes Seattle a serious contender is their highly touted defense. Led by high profile players, the defense has lived up to the hype this season by ranking 5th against the pass, 3rd against the run, and 10th in terms of sack rate (all adjusted for strength of schedule). With the defense and Wilson at quarterback, Seattle could win their second Lombardi trophy in three years. The numbers cited in this article, such as sack rate adjusted for strength of schedule, are available to members of The Power Rank. 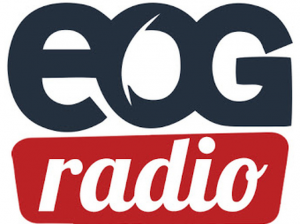 John Kelly had me on Eye on Gaming, a radio show on KLAV in Las Vegas. We talk about the art in algorithms, efficiency metrics in football, and predictions for the Super Bowl between New England and Seattle. I particularly appreciate the kind words from the Friday night regulars, Matt Hatfield and Robert Gary Ravdel, on my appearance. Listen for that after the interview. Is there any edge in this Super Bowl between New England and Seattle? The numbers slightly favor Seattle. I aggregated my numbers at The Power Rank with 8 other trusted sources, and this ensemble predicts Seattle by 0.46 points. This corresponds to a 51.3% win probability for Seattle. The match ups do not seem to suggest an edge for either team. Frank Brank broke these factors down, and nothing persuaded him to favor either side. However, there’s one additional consideration, and it comes from looking at the Patriots fumble data. I know, you might be sick of Deflategate and the fumble data. If so, check out this video for comic relief. But there are missing insights in the fumble data. Let me explain. After the AFC championship game, a report claimed that 11 of the 12 Patriots game balls were deflated during the game. This lack of air pressure makes the ball easier to catch and not fumble, simple physics that makes sense to me. Then Walter Sharp published some interesting data on the Patriot’s ball security. Over the last 5 seasons, they average 187 plays between fumbles lost, a much higher average than any other NFL team over this time. To understand ball security, it’s more important to look at all fumbles, not only those lost to the other team. The Patriots have also excelled in this category, going 73 plays between fumbles over the last 5 years. Only Atlanta and New Orleans have fumbled less. If you believe the Patriots are cheaters (not unreasonable given Spygate and Deflategate), this data supports your case. The Patriots purposely played with deflated balls, which allowed them to have better ball security. However, there are many problems with this analysis. If you want to get it right, you should break down the Patriots fumbles based on who had the ball. This requires looking at play by play data to separate QB Tom Brady, ball carriers, receivers and special teams. Deadspin looked at fumble rates on carries and receptions for the Patriots. Since 2007, their ball carriers have led the NFL, but not by a significant margin. For fumbles after catches, they’re third. For this data, check out the bottom part of this article. This suggest the Patriots ball security boils down to Brady and special teams. Since Brady handles the ball far more than punters and kick returners, the Patriots low fumble rate is most likely due to him. In addition, consider the other two teams with low fumble rates: Atlanta and New Orleans. Sharp suggested this was because they played in domes. However, dome teams don’t fumble less on carries and receptions according to the Deadspin results. In addition, Atlanta and New Orleans have elite quarterbacks (Matt Ryan and Drew Brees). This data suggest that quarterbacks have some skill in protecting the ball. Most likely, Brady does this well, deflated ball or not. We’ll see if he can continue his elite ball security, even with that nagging cold he’ll drag into the Super Bowl on Sunday. The Patriots are in the top 3 of fumbles but by far the best at fumbles lost. This suggests looking at the rate at which they recover these fumbles. From Sharp’s data, we can estimate the fraction of the Patriot’s fumbles that they recover. Since 2010, they have jumped on 61% of their fumbles (51 of 84 fumbles), much larger than the expected 50-50 on fumble recoveries. Based on these 84 fumbles, their fumble recover rate is better than 2 standard deviations lucky. Fumble recoveries do depend on where on the field they occur. Looking at huge sample of college football plays, Brett Theissen found that the offense recovers more fumbles on their side of the line of scrimmage (e.g. strip sacks of the quarterback) than downfield (e.g. fumble by a receiver after a catch). If we can infer from the Sharp and Deadspin data that Brady doesn’t fumble at a high rate, then more of the Patriots fumbles occur downfield. This makes their 61% fumble recovery rate even more incredible. And this fumble recovery rate has nothing to do with deflated footballs. Even the most conspiracy theory loving, Patriots hating fan will find it hard to argue that they’re better at jumping on bouncing footballs, even if they lack the proper air pressure. The data suggests Tom Brady is good at holding onto the ball and the Patriots offense has been incredibly luck with fumble recoveries. The latter should not continue into the future. This makes me lean towards Seattle more, although not much more. The side is only enticing if you can find New England as a 1 or 2 point favorite. You want to know whether the Patriots or Seahawks will win the Super Bowl. Can New England overcome the distractions from deflated footballs and exploit the human mismatch of Rob Gronkowski? Will the injuries to Seattle’s defense prevent them from repeating as Super Bowl champions? I am extremely split on this Super Bowl. In recent previous years, I usually have a pretty good feel for the game after watching each team for almost 20 weeks. Ed did an ensemble prediction that combined The Power Rank’s numbers with those from 8 other sources on CNBC. It gave the Seahawks a half point edge, the toss up that I expect. Even in speaking to some sharper bettors, they seem split on this game on both the outcome and the point spread (New England -1 as of Tuesday afternoon). Nonetheless, let’s highlight some match up advantages and disadvantages for each team. The big question for the Seattle defense is the health of cornerback Richard Sherman. Sherman seemed to injury his elbow pretty badly in the NFC Championship as he used only one arm in bump and run coverage against Jordy Nelson. If Sherman is affected at all by his elbow, I guarantee the Patriots and Tom Brady do their best to exploit the opportunity. If Sherman is close to healthy, it’ll be interesting to see who the Patriots put on his side of the field. Richard Sherman lines up on the left side of the defense almost 100% of the time. Thus, the opposing offense can almost pick their match up for Sherman. For the Seahawks, this strategy eliminates one side of the field and the receiver trying to beat Sherman down field. However, the Patriots have a number of equally dangerous receivers. The catalyst for the Patriots offense is Rob Gronkowski. Since Gronk probably will not line up against Sherman, it’ll be interesting to see Seattle coordinator Dan Quinn’s approach to slowing him down. They could certainly bring Kam Chancellor down from the safety position to cover Gronkowski. After seeing the soft spot in the middle of the field get exposed by Aaron Rodgers and his tight ends, I’d guess this is exactly what Dan Quinn ends up doing. The size, speed, and aggressiveness of Chancellor could slow Gronkowski down as much any team has this season. I don’t think anyone can shut him down completely, but it gives them a chance. In the games I’ve watched, it seems Brandon LaFell tends to lineup on the opposite side of Sherman. Thus, that leaves either Julian Edelman or Danny Amendola taking up Richard Sherman’s time. Strangely, I would like the Edelman match up against Sherman. If there is the slightest weakness in Sherman’s game, it’s the crossing routes that drag him the width of the field. I don’t expect the Patriots to stick to the running game like they did against the Colts. Seattle has the second best run defense in the NFL, and I highly doubt LeGarrette Blount will gash the Seahawks like he did the Colts. If they are going to have success in the running game, it will have to come from smaller, speedier guys like Shane Vereen and Jonas Gray. Though I’ve heard some talks about the Seahawks front making Tom Brady uncomfortable, they have an average sack rate this season. The Patriots only trailed Denver and Peyton Manning in sack rate allowed this year. Brady should have plenty of time with his usual quick trigger. Frankly, I hate this match up for the Seahawks offense. Bill Belichick had a field day with Andrew Luck last week, and this Seahawks offense is a lot less sophisticated. I never agree with the run-heavy approach, but this might be the best strategy for the Seahawks. New England ranks just inside the top ten in opposing yards per carry but they could also quickly stunt Seattle’s poor passing game. Belichick’s typical plan is to put Darrelle Revis out on the offense’s best receiver while allowing Browner, McCourty, and the others to match up against the rest of the wide outs with safety help over the top. It is looking like Jermaine Kearse will end up on Revis Island on Sunday. Kearse does have some speed and has shown to be a down field threat as of late. However, much like Sherman, Darrelle Revis eliminates the big play. It’s not a great match up for the Seahawks. Seattle will more than likely depend upon Doug Baldwin and Luke Willson in the passing game. Baldwin is very similar to Kearse with a little less athleticism and speed. Luke Willson, on the other hand, has shown to be a little better at tight end than most expected. He’s extremely similar to guys like Heath Miller or Jason Witten with good route running and a great set of hands. I’d expect Russell Wilson to target his tight ends with some bad match ups on the outside. Speaking of Russell Wilson, it is imperative that he runs the ball himself with more success than last week. Clay Matthews drew the job of spying Wilson throughout the entire game last week. He got after Wilson and really shut him down in the running game. Jamie Collins will more than likely get that job this week. For those of you haven’t watched Collins play, he’s even quicker and more explosive than Matthews. Regardless, Wilson must finds ways to extend and make plays with his feet. The Seahawks will need to expose the Patriots defense much like the Ravens did in New England’s first playoff game. They will have to use Baldwin and Willson in the middle of the field while running Marshawn Lynch and Robert Turbin out on the edge. Inevitably, Pete Carroll will be creative enough to set up some quick hitters like wide receiver screens, running back screens, end-arounds, and read-options to keep the ball systematically moving down the field. However, the Seahawks offense isn’t capable of putting up a lot of points. After the games ended last Sunday, I would have leaned extremely heavily on the Patriots. 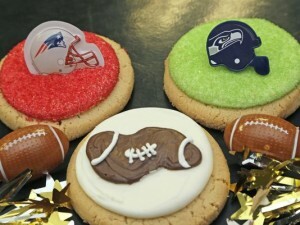 In the way the Seahawks and the Patriots won their games, the better team was clearly the Patriots. I wasn’t alone in thinking this way. The line opened on Sunday night at Seahawks -2.5. The sharps crushed that line literally within a few minutes. The line snapped down to pick ’em almost immediately and has now settled around Patriots -1 to -1.5 depending where you look. The books want to make lines as close to 50-50, in terms of money and number of bets, as possible. It seemed like they completely misjudged the public perception after an emotional Seahawks victory and the bigger money bought the line down right away. After a week of looking over the match ups, this game is much closer than I initially thought. I foresee both defenses being able to control each offense. In typical weeks, I almost always lean on the defensive side. That’s the side most undervalued in the eye of the public. In return, you typically get favorable lines on good defenses. The Seahawks defensive value, though, is typically accurate or even overvalued. The next aspect of the game is the quarterbacks and his protection. This edge is significantly in Brady’s favor. For the sake of picking a winner, I’ll take the Patriots. I think Deflategate will have the Patriots playing angry and give them a little incentive to run up the score if they get ahead instead of taking the laid back approach that the Packers took. If anyone has an argument in favor either side, I’d love to hear it in the comments because I don’t have much of a lean in breaking this game down. This is as much as a toss up for a Superbowl as I can remember. Let’s hope this one comes down to the last possession. Enjoy the game and the next eight months until football comes back again next season. The Divisional playoffs last weekend gave us some close games. New England and Green Bay won but didn’t cover the spread. Even Seattle’s 14 point win over Carolina was closer than it seemed. Carolina moved the ball regularly against the Seattle defense and threatened to make it close until the interception return by Kam Chancellor, who played as well as any defender I’ve seen all season. Moreover, Denver might have given Indianapolis a better game if Peyton Manning didn’t have a torn quad muscle. Somehow, news of the injury came out only after the game, as the line moved from 7 to 9.5 in favor of Denver before the game. The bookmakers did their job, though. According to Sports Insights, every game closed pretty close to a 50% split for each game. Last week’s games certainly suggests taking the points this week. The Colts dominated the Broncos in Denver. That’s incredible. The news about Peyton Manning’s torn quad didn’t surprise me. However, his receivers were blanketed for most of that game. I thought Manning blatantly missed an open receiver only a few times. As we’ve realized before, this Colts defense is a little underrated. Overall, the Colts pass defense ranks tenth in The Power Rank with a bit of a boost as of late. In the last three weeks, they’ve given up ten points to the Titans, ten points to the Bengals, and thirteen points to the Broncos. The Colts also boast the ninth best sack rate (7.2%). However, pressuring Tom Brady may still be difficult. The Patriots front have only given up sacks on 3.6% of drop backs as Tom Brady typically gets the ball out quickly. The Colts will have to blanket more receivers this week if they want a chance to win. The biggest mismatch is Rob Gronkowksi, as usual. The Colts aren’t exactly known for their linebacker play. If they don’t move safety help or move a corner over to handle Gronk, he could have a huge game. Even moving a capable body over to handle Gronk leaves so many options for Tom Brady. Defending Brandon LaFell, Julian Edelman, the resurrected Danny Amendola, and Shane Vereen out of the backfield is an insane task. Not to mention, the Patriots offense completely ditched the run last week. They rushed once in the second half, and it was a Tom Brady quarterback sneak. Since passing has been 54% more efficient by yards per play than rushing in the NFL this season, this approach should only increase their likelihood of winning. The Patriots defense doesn’t have it any easier. Andrew Luck doesn’t have the quick trigger like Brady or Manning, but he does have superior mobility inside and outside the pocket. He also is supported by an impressive offensive line. Andrew Luck has had clean pockets for the last three weeks, hardly being touched at all. I was mildly surprised the Patriots weren’t able to pressure Joe Flacco last week, especially in the first half. Considering the Patriots front has about an average sack rate, I expect Luck to have some time and find his speedy receivers. Bill Belichick typically puts Darrelle Revis on the opposition’s best receiver (T.Y. Hilton for the Colts), and matches up Brandon Browner with safety help on the next best receiver. 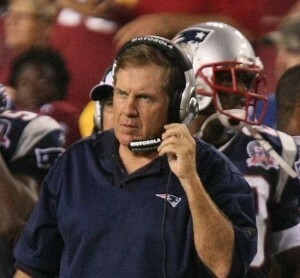 This is what makes Belichick so efficient on defense; he makes other teams beat them with guys they don’t want to use. For this week, that leaves Coby Fleener and Dwayne Allen, two capable tight ends, to get open and exploit their defense in the middle of the field. Joe Flacco and the Ravens were able to do this last weekend. It wouldn’t surprise me to see Browner move in to cover Coby Fleener. However, that still leaves some decent match ups for Donte Moncrief and Hakeem Nicks. Playing in Foxboro is clearly a big advantage for the Patriots this time of the year. The Colts play their home games in a dome. The Packers are the beneficiary of some controversy this week as they advanced with the help of instant replay and a questionable rule. By the transitive property, the Seahawks will be the team receiving the benefit this week. In all seriousness, the Seahawks secondary is terrifying. Kam Chancellor changed the outcome of last week’s game on his own. Richard Sherman may be the most sure-handed cornerback in the NFL. Teams that attempted to run to counter their defensive backs are stopped by a front seven that allows 3.49 yards per rush, second best in the league. The one weakness of the Seahawks defense is the pass rush. And a lack of pressure against Aaron Rodgers will doom them. I was actually surprised how well the Cowboys defense contained Rodgers last week. In the second half, though, he really caught his stride and threaded the needle through some tight coverages that doomed the Cowboys. The aspect that ruined the Panthers last week was turnovers. Even with a costly fumble and an interception, the Panthers found themselves near the Seahawks ten yard line with the opportunity to make it a one possession game. Then Kam Chancellor squatted on a route and took the interception to the house, effectively ending the game. Aaron Rodgers is the best quarterback at avoiding interceptions (career pick rate of 1.6%). I can imagine he will have success against nearly any defense. Unlike Belichick’s approach, the Seahawks keep Richard Sherman generally on one side of the field. This gives the Packers the opportunity to move Randall Cobb and Jordy Nelson on the other side of the field or in the slot, which they do often anyway, providing some favorable match ups. 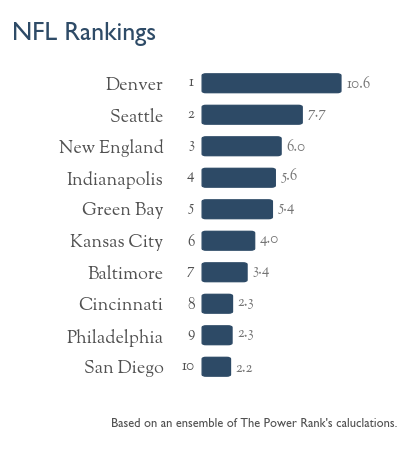 I still can’t buy into the Seahawks offense, ranked 17th by The Power Rank. After I bashed them last week, the Seahawks put up 31 points. But points can be deceiving. The Seahawks scored touchdowns on the mentioned pick-six, a 63 yard pass, and after a fumble on the Panthers own 20 yard line. These are all unsustainable ways to continue to score. They only really drove down the field and scored once on the Panthers defense. I am not trying to compare the Packers defense (24th) to the Panthers defense; the Panthers are much better. However, the Packers don’t need to be great, though, to give themselves a chance to win against this Seahawks offense that depends upon their own opportunistic defense. The books have lined this game at Seahawks -7.5 which seems a bit inflated to me even with reduced mobility of Aaron Rodgers (slight tear in his calf). Any time you can get north of seven points in a football game, it’s good value. This game is no different. I like the Packers to cover, and Aaron Rodgers always gives you a chance to win. The Power Rank’s ensemble predictions concur and give the Seahawks a 4.9 point edge (about 63% to win). Thanks for reading and enjoy the few remaining games. Since I no longer have a horse in the race, I’ll be rooting for a Packers-Patriots Superbowl as that would seem to me to be the most entertaining to watch.